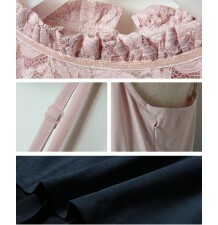 In Sweet Mommy's collection, formal dresses have a very important place. For any formal occasion, be it a cocktail party or attending a wedding ceremony, or even at your own wedding, Sweet Mommy dresses exalt your body shape with a luxurious style while maintaining the best comfort. Most Sweet Mommy dresses are designed to be worn during pregnancy and nursing as well, therefore are also very suitable for moms that want to be elegant and at the same time be able to breastfeed their baby even at formal occasions, in a practical and discrete way. Therefore, you can wear those clothes on a lot of different occasions. Elegant jacquard maternity and nursing dress. Delicious maternity and nursing long sleeve dress, suitable for ceremonies, available in 2 colours. Maternity and Nursing Scalloped Lace Dress, made by prestigious fabric. Maternity and nursing short sleeve dress made of Shantung fabric, very elegant and classy, suitable for an important ceremony. Gorgeous maternity and nursing lace formal dress with short sleeves, very elegant. Maternity and nursing scallop waist two-tone dress made by prestigious fabric. SHANTUNG fabric B-colors maternity and nursing dress. Delicious maternity and nursing 3/4 sleeves ceremony dress, very elegant and comfortable. Maternity and nursing formal dress with belt made in stretch lace, suitable for a ceremony. 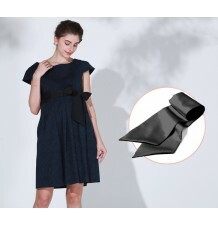 Beautiful maternity and nursing back bow ruffle formal dress, perfect for a ceremony or an important occasion. Maternity and nursing formal dress with striped skirt, made by high-grade fabic. 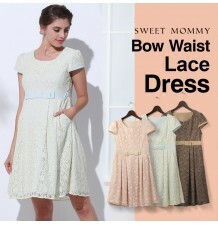 Delicious maternity and nursing ceremony dress with bow at waist and lace details, very elegant and classy. Delicious maternity and nursing set, made of 2 pieces, very elegant and comfortable. Very elegant maternity and nursing formal dress, made bu Shantung fabric. It is also very fits for after pregnacy. Delicious maternity and nursing lace ceremony dress, made of 2 pieces, very elegant and classy, available in 2 colours. Elegant maternity and nursing 3/4 sleeve dress, suitable for a ceremony. Maternity and nursing ceremony dress with floral inner layer and bow at waist, very elegant and classy. Maternity and nursing chiffon two-tone formal dress with lace details, very elegant. Beautiful maternity and nursing ceremony dress, made of Chambray fabric, with petticoat and removable straps. Delicious maternity and nursing Jacquard dress, short sleeves, available in 2 colours. 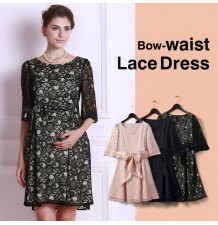 Very elegant maternity and nursing lace formal dress, suitable for all seasons. Elegant maternity and nursing check print dress with short sleeves, available in 2 colours. 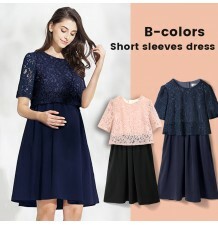 Maternity and nursing short sleeve dress with lace details, very elegant and fashionable. 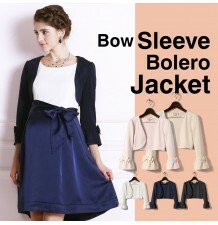 Delicious maternity and nursing ceremony dress with bow at waist, very elegant and comfortable. Maternity and nursing formal dress made by gorgeous fabric.